While there haven’t been any studies I know of linking clutter to obesity, I do know that being disorganized doesn’t help. Think about the factors that facilitate weight loss: increased physical activity, eating healthier foods, good sleeping habits, and a balanced emotional life — all related to an organized, clutter-free life. And the fact is that most failed dieters complain that maintaining a diet is just too much work. The amount of information and control required can be extremely difficult for the average person to sustain. This becomes especially important when your control systems are weakened — like when you’re disorganized or stressed. When there are distractions or concerns competing for your attention, the mental workload can be overwhelming. That alone could be the reason you fall off your diet. Therefore, you need to arrange your personal environment to maximize your chances of losing and maintaining your weight loss and minimize your chances of slipping up. One of the leading barriers to increasing your physical activity is time. You never have enough time in the day. Does that describe you? Are you constantly trying to work your way out of a theoretical hole? The cold reality is that there are only 24 hours in a day, which means you have to figure out how and when you can increase your physical activity. If your home and office are disorganized and filled with clutter, you’re probably spending a lot of your time simply looking for things you need and trying to get yourself organized and motivated. When you get rid of the clutter you can make room for a small exercise area and have easy access to your gym clothing so you can get to the gym. Think about it: If you spend 10 fewer minutes a day looking for things, you can spend 10 more minutes exercising. Most people want and need to have order in their lives to function properly. If you believe you can easily prepare healthy foods with a disorganized pantry, you’re mistaken. Get rid of expired items and foods that have unhealthy ingredients (e.g., partially hydrogenated oils, high-fructose corn syrup). “Trigger foods” also must go. These are your go-to foods that can lead to binges and unhealthy eating patterns. 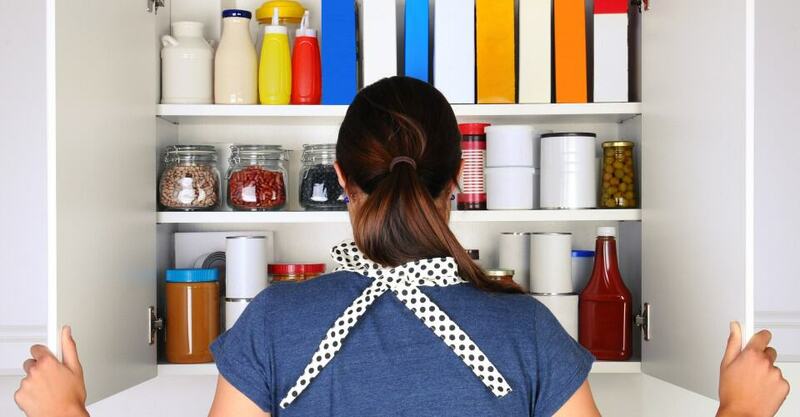 Clean the shelves and, if possible, paint your pantry white, or some bright color so you can see the foods you have. When restocking the shelves, make sure to group like foods together and try to make healthy foods easily accessible so that you reach for them first. There are several companies that make storage containers and organizational tools to help you get organized, such as Space Savers and Container Store. Create an easy-to-use spice section. Spices make bland foods taste great, and should be used as part of your cooking process. Rice vinegar, apple cider vinegar, and balsamic vinegar to add a lot of zing. Whole-wheat bread crumbs and flour. Soups and other healthy canned foods: It is not cheating to open a can of low-calorie soup or tuna for a fast dinner. Stock up on these foods — they’re filling, inexpensive and right there when you don’t feel like making a big deal out of dinner. Go through your utensils — do you really need everything you have? If it’s something you use only once in a while, or once a year, put it on a top shelf where it won’t get in your way. Several small plastic cutting boards or mats that fit into your dishwasher. Very sharp knives, along with a knife sharpener. A food processor or blender to slice, grind, dice, chop and shred. A microwave oven: Great for defrosting meat and reheating leftovers. It also cooks a potato in about seven minutes. Pots and pans, readily available and in good working order. Make sure your kitchen countertops are clean and free of unopened mail, old newspapers, and magazines; they’re supposed to be for food prep. Take the Fridge Quiz. Would you shop in a dirty, poorly laid out grocery store? Keep your fridge clean and organized into sections, just like a supermarket. 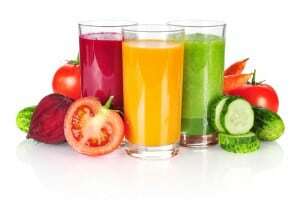 Soda and juice are high in calories; try to keep water or unsweetened iced tea in the front so you grab them first. Better yet, toss the cola. Fruits and veggies should be front and center and at eye level so you see them. Keep all the high-cal foods in the fruit and veggie drawer or in the back. Try to have a gym bag packed, easily accessible and ready to go. Buy a “fitness” crate to store all your fitness items, including sneakers, bands, pedometer, gym clothes, fitness DVDs, jump-rope, etc. Make everything easily accessible and ready to use. You need to get all the areas of your life organized, including your closets and garage. When your house is uncluttered, you become uncluttered and free yourself up for other things — like exercise and eating right. Using containers and storage bins is great, as long as they don’t serve as another place to hide stuff you don’t need. Yes, that’s what most people do — they take all the things they own and toss them into a storage bin, and then the stuff just sits there. Come up with rules when you start to clean and throw away. If you haven’t used something in the last two years, chances are you will not use it at all. If you haven’t read that magazine in the last month or so, chances are you’re probably not ever going to catch up. Trust me, there will be other Brad and Angelina’s breakups, get-togethers, events, etc. If you do end up storing things, make sure to label and make detailed lists of what’s in each container.